One reason I like running errands with kiddo is that, well, I just like having him with me. The other is that when I talk to myself in a store, it looks like I'm talking to him. This is a big problem in a store like Williams-Sonoma. I find myself "oooing" and "ahhing" and "isn't that cute-ing" all over the place. I ooo'd and ahhh'd and isn't that cute'd...and IMMEDIATELY picked up two (one for you, one for me). I think I might have startled the salesclerk working in the area. 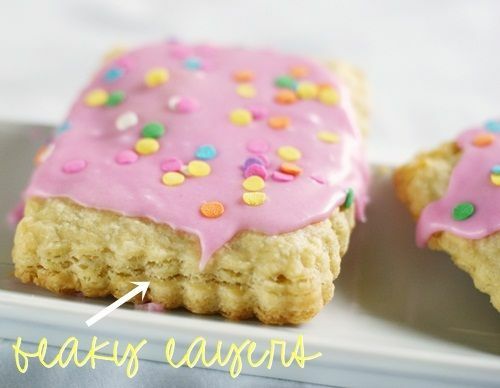 These homemade pop tarts are really easy to make...and there is a recipe right on the back of the box. My only tip for you is...make them the day before you want to serve them. There's a lot of chilling time and waiting time...so plan ahead. You do NOT want to start these when you are trying to get your kids off to school. (If you don't have a food processor, combine these with a pastry blender.) In a food processor, pulse the flour, salt and sugar a few times, until combined. Add the butter, and pulse until the mixture looks like coarse meal. Add 6 TBSP of ice water and pulse until the mixture holds together when squeezed. Add more water, a teaspoon at a time, if needed. Divide the dough in half, wrap in plastic wrap and refrigerate at least 2 hours, or overnight. On a floured surface, roll the dough to 1/8th thick. 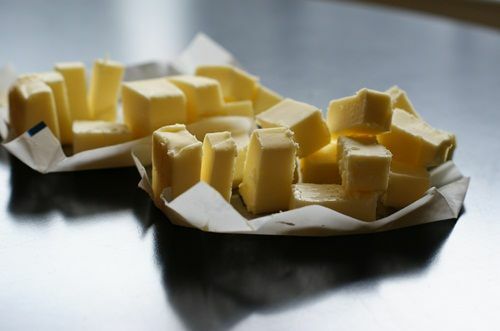 Cut pieces with the large cutter (you will have 10-16 overall depending on how thin you roll the dough). 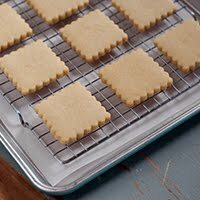 Place half of the cut pieces on cookie sheets that have been lined with parchment. 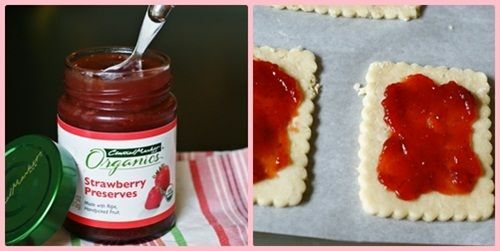 Spread 1 TBSP of preserves onto each piece, leaving a 1/2" border. Brush the egg mixture along the edges. Top each piece with one of the remaining pieces of dough. Using the toaster pastry mold, press down with the small mold to seal. Refrigerate for 30 minutes. Preheat oven to 350. Bake for 25 minutes or so, rotating the sheets in the oven halfway through. Let sit on the sheets 10 minutes, then remove to wore cooling racks to cool completely. Meanwhile, mix the powdered sugar and milk. 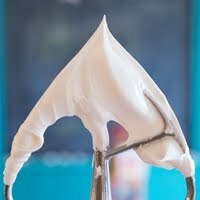 Adjust the thickness with more milk or sugar. Add the pink food coloring. Spoon onto cooled pastries and spread with and offset spatula. Add sprinkles. 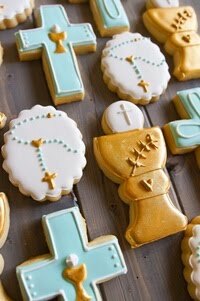 Let the icing set before serving. It's like having frosted pie for breakfast. Just look at those flaky layers. Do you want one? I know you do! How about a $50 Williams-Sonoma gift card to go with it? Giveaway closed....congrats to a_manda!!! Look for an email in your inbox! We're having a BLOGGY SCAVENGER HUNT! Teresa from Blooming on Bainbridge has a darling doggy. What is his name? Amy from She Wears Many Hats, well, wears many hats. How many hats is she wearing in her header? 3. Rose Sugar cookies! YUM! 3-- Rose cookies I DESPERATELY want to make! 3) Sugar cookies with pastel rainbow buttercream roses! I saw this very pastry tool at Williams-Sonoma recently and had to use all my will-power to not purchase it. I was shopping for Mother's Day, so it wasn't the time to be buying for me. I hope my time is now! How fun! Those look really tasty. 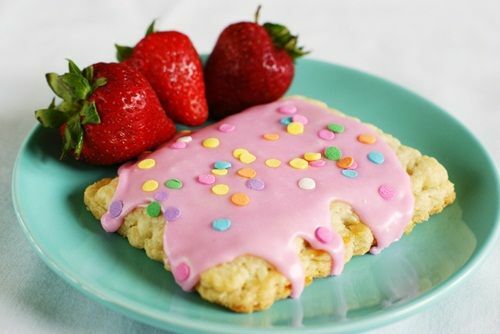 I want a homemade pop tart asap! 3. Rose cookies- pretty and delish! I've made homemade pop tarts before.. Mine did not turn out so pretty.. I didn't have press thingy.. I would love to try and make prettier ones! One reason I like running errands with kiddo is that, well, I just like having him with me. This just made me get all teary. I LOVE it!! I talk to myself too! I believe it to be a sign of genius. What a fun giveaway! And thanks for linking to some fun blogs I'm going to go read! Can the pop tarts be made with chocolate too? They look great! Amanda made beautiful rose cookies! What a fun give away!! 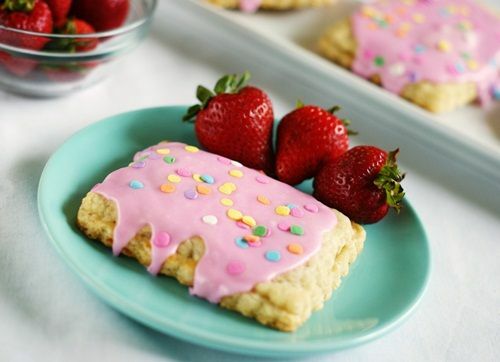 Those poptarts look amazing and delish!! doogan, 5 and rose (i saw these in person and they were SO lovely)! 3. Roses...and they look yummy! Doogan, 5, and rose sugar cookies. rose...beautiful rose, which I am definitely going to have to try! 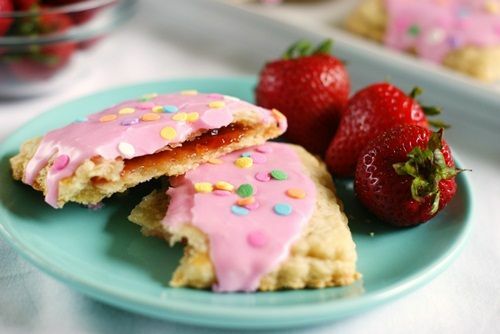 Homemade Pop Tarts sound so much better than the store bought ones! 2. 5 — Unless the green one under the jester hat is an additional hat. Then 6. Ooh! I really want to win this! This would be so fabulous to have!! What a fun idea! 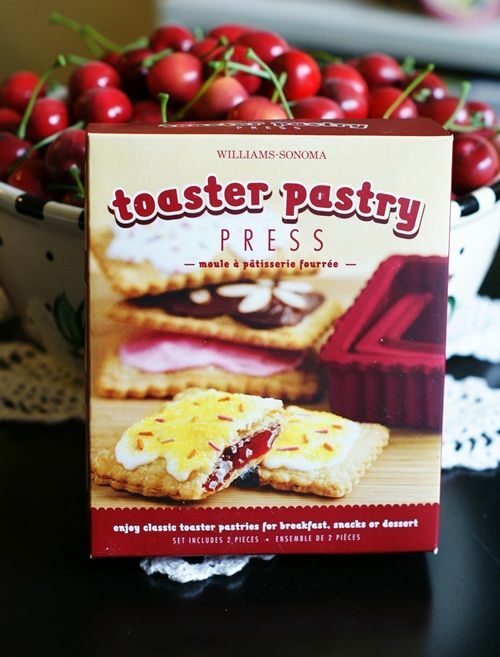 My husband loves Poptarts, and I'd love to be able to make them at home for him! I didn't cheat, I promise!! I recently discovered that my husband gets a packet of pop tarts from the vending machine every day at work! When I read the nutritional info, he was shocked to discover that he was not eating the a "healthy" snack. Then I read him the ingredient list!! I would love to treat him to homemade pop tarts. Still maybe not that healthy, but at least better and less processed! Doogan is her ADORABLE dog. 3) Sugar cookies with crusting buttercream roses. 3. 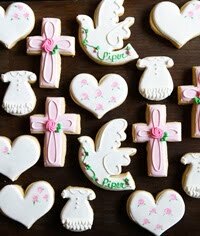 Rose Sugar cookies, which I just commented on this morning! What a great giveaway, Bridget. So fun! Pick me, pick me! 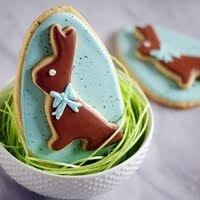 Love all of those blogs and LOVE Williams Sonoma!! 1.Teresa from Blooming on Bainbridge has a darling doggy. What is his name? 2.Amy from She Wears Many Hats, well, wears many hats. How many hats is she wearing in her header? Rose Cookies...that I totally want to figure out how to make! 2. Amy is wearing 5 hats in her header. What a fun contest! I'm not entering but just had to comment on how good these pop tarts look! I can imagine so many different flavours for fillings. Thanks for sharing the recipe Bridget. Doogan, 5 hats, and Rose cookies. Doogan, 5, rose. Yay for pop tarts! 1. Her dog's name is Doogan. 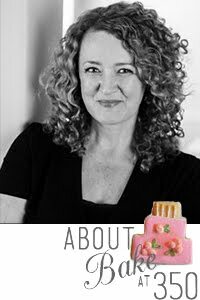 And, in the process, have found 3 delicious blogs to follow!!! How cool is this!!! Thanks so much for the chance!! Ha! I almost impulsively purchased these the other day. Definitely a "how cute" moment. 1. Doogan - and he is just adorable! Love this giveaway. My honey eats un-iced poptarts everyday for breakfast this would come in handy!! Thank you for the opportunity to visit new blogs and add them to my already long list of reading materials! I am baker - Rose Cookies! Doogan, 5, Rose! I would love to win this. Love you, too! 1) Teresa's dog is named Doogan. 2) Amy wears 5 hats. 3) Amanda made adorable buttercream rose cookies. I've always wanted to try homemade pop tarts! Great giveaway -- thank you for the opportunity to win! 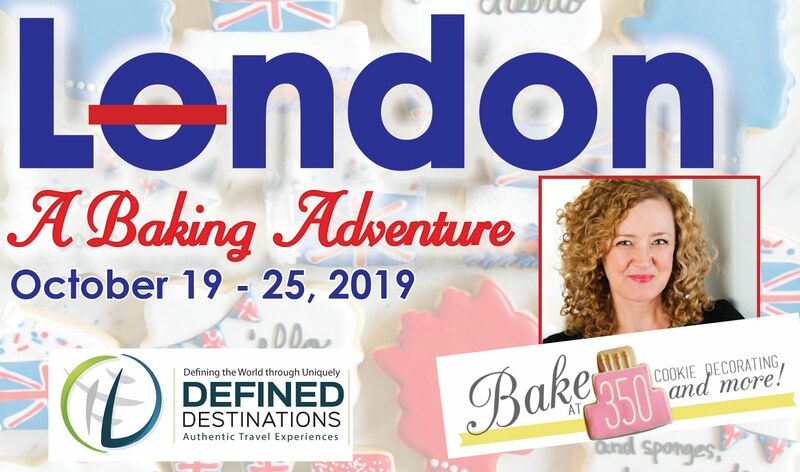 Thanks for some fun new blogs to look at! Oh my daughter would think I was the bees knees if I could make her a pop tart!!! 1. Doogan, five, Rose swirl cookies....so pretty. Woohoo!! Thanks for such an awesome blog!!! Oh I want this so badly. Maybe I can win!. . .
Doogan,five hats, and Rose sugar Cookies! Thanks for the chance to win this super cute prize!!! I love your site. Keeping my fingers crossed. Doggy Doogan, 5 crazy hats and rose cookie! Pick me, Pick me! 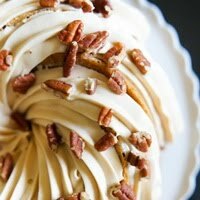 FYI...I came across your blog only about a week ago while searching for some inspiration for cookies and I haven't left since! It's so great! Thanks for pointing me to these - I need to add them to my reader! uhhhg I hate shopping with my kids, because they always ask me to buy stuff like this...only not the cool do it yourself stuff, they ask for the nasty store bought pre-made kind. I don't get to ooh and ahh so much because there is no-way in HADES I'm taking my 4 kids into WS and they close before I can get them all in bed. My internet pages are loading too slow to play in the giveaway, if I remember I'll do it later. I have never been to any of these sites and I just spent an hour browsing. So awesome!